A man who murdered a Teesside grandmother of six by smothering her following a row has been jailed. 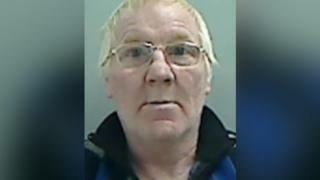 Paul Plunkett killed his partner Barbara Davison, 66, at her home in William Street, Redcar, on 15 August. He had previously been jailed for manslaughter after strangling a girlfriend in 1995. At Teesside Crown Court, the 62-year-old, of Station Road, pleaded guilty to Ms Davison's murder. He must serve a minimum of 23 years. The court was told the killings had "haunting similarities". In a statement released after his sentencing, Ms Davison's family said Plunkett was "a lying manipulative evil coward who will never face up to what he has done and the lives he has ruined". "No sentence will ever bring our mam back," the statement continued. "Even changing his plea to guilty is a coward's way out so he doesn't have to listen to the truth. He could have pleaded guilty [on] day one but chose to drag it out. "He's denied six grandchildren of the love and caring they had with their gran." Det Insp Darren Birkett, of Cleveland Police, said Plunkett's admission of guilt before the trial did "nothing to bring Barbara back or ease the devastating loss felt by her family". He added: "Plunkett is a danger to women and will now likely spend the rest of his life in prison."